Memorial Day was birthed in May of 1865 by a group of freed slaves in Charleston, South Carolina. They visited a cemetery for Union soldiers, decorating their graves to Remember: FREEDOM is not FREE! Israel received this instruction for the eve of their liberation: “Each Jewish man is to take a lamb for his family and slaughter it at dusk. He must take some of the blood and smear it on the two doorposts and the lintel of the house in which his family will eat the meat, along with bread. 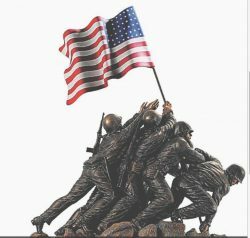 This will be a memorial day for you….” (Exodus 12:1-12) Remember: FREEDOM is not FREE! “On the eve of his crucifixion Jesus took bread. When He had given thanks, He broke it and said, ‘Take this bread and eat it. This is my body which is broken for you. Do this to remember Me.’ After supper, He took the cup. He said, ‘This cup is the New Way of Relationship between God and you via my blood. Whenever you drink it, do it to remember Me” (1 Corinthians 11:23-25) . Remember: FREEDOM is not FREE! “Every time you eat this bread and drink from this cup you proclaim the Lord’s death until He comes again” (1Corinthians 11:26). Jesus will return with the Father’s new production, “a new heaven and a new earth.”(Revelation 21:1) Here’s Act One: “Then I heard the sound of many people. ‘Let us be full of joy, for the time has come for the wedding supper of the Lamb. 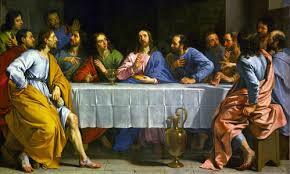 Those who are invited to the wedding supper of the Lamb are happy.”(Revelation 19:6-10) FREEDOM is not FREE! Guess what? YOU’RE invited! 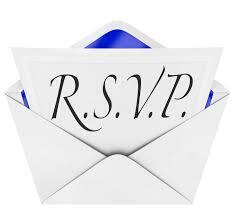 Just RSVP to Jesus!